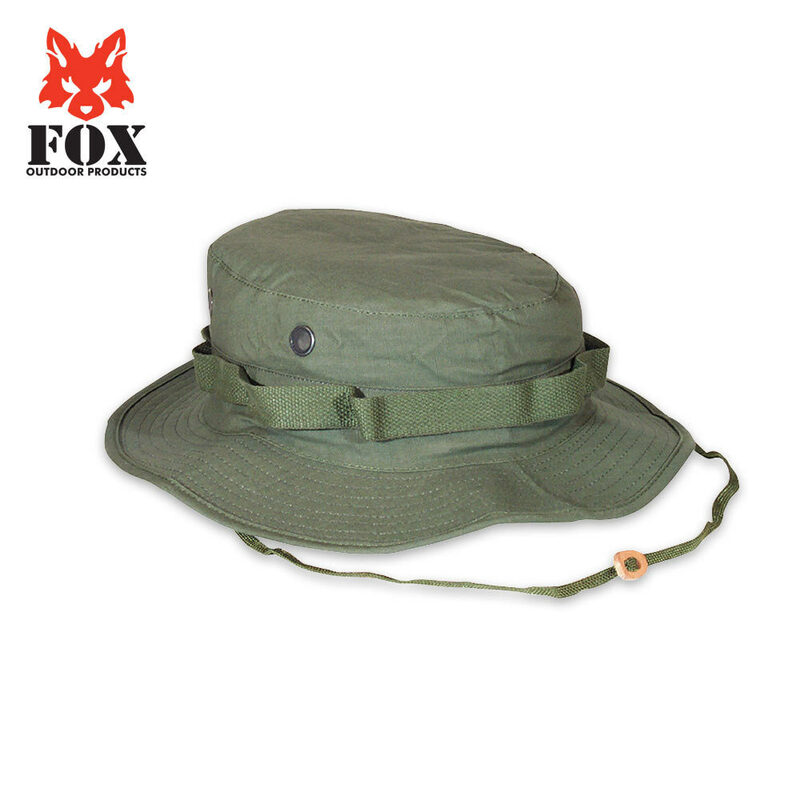 Fox Rip Stip Boonie Hat Olive Drab | BUDK.com - Knives & Swords At The Lowest Prices! Comes with side vents, branch loops and a chin strap, 2 1/4 inch brim. Available in sizes: M, L and XL. Just came in the mail today, and I can already tell that I will have this hat for a very long time. The brim ins very large, perfect for keeping the sun off. The only reason that I subtracted a star is because it was made in China.